The Savage 500 Watt LED Light Kit with two 30W LED (250W) chip bulbs. The Savage 700 Watt LED Light Kit with two 50W LED (350W) chip bulbs. • LED Umbrella Kit includes two Savage LED Chip Bulbs, two umbrellas, two six foot light stands and carry bag. 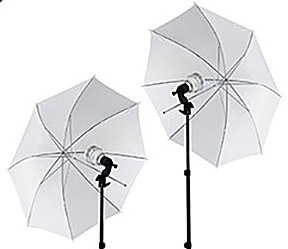 • Each kit produces 500 watts of soft daylight colored light for video and photo shoots. 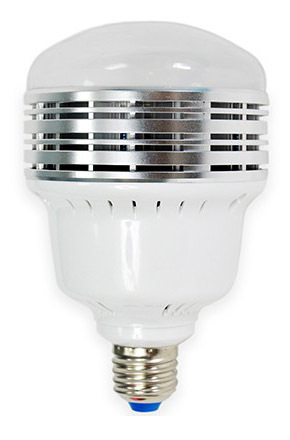 • Lamps are energy efficient, fan cooled tri-band technology chip bulbs. • Every LED30 Bulb generate 250 Watts of equivalent incandescent light. • LED bulbs are 5500K daylight balanced with 20,000 hours of lamp life. • One of the highest CRI (Color Rating Index) of 91 in realistic color rendering! 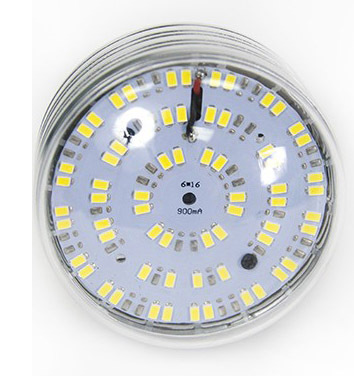 See Additional LED Bulbs link below! Kits require two days before they ship from our AZ warehouse. 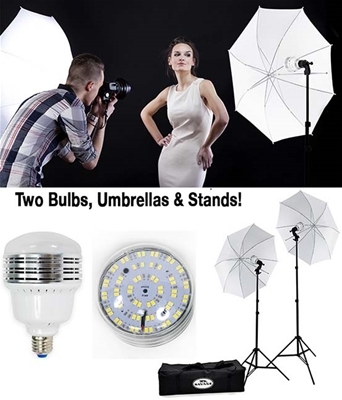 LED Umbrella Kit includes two Savage LED Chip Bulbs, two umbrellas, two six foot light stands and carry bag, kit produces 500 watts of soft daylight colored light for video and photo shoots.